No joke. Between lack of sleep, finding a new place to live, cleaning, purging, packing and unpacking, even most seasoned military spouse is likely to be pushed to his or her limits. So how do you think it affects our kids? There are so many emotions it can feel like a roller coaster for them. It is important for us to help them have as smooth of a transition as possible, while also providing us with the support and comfort we need as well. 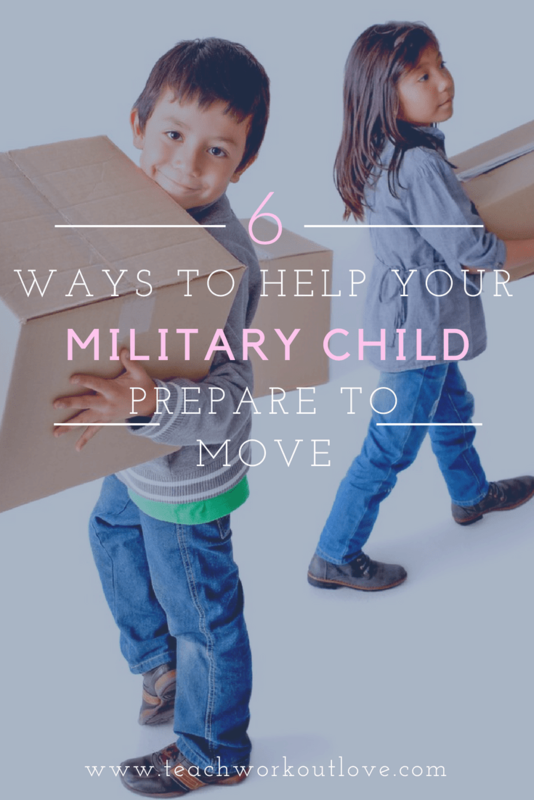 Here are 6 ways to help prepare your child to move. Tell them about the move as soon as you can. Wouldn’t you want to know before you were uprooted from the familiar and moved to a new spot? This is not an easy conversation to have. 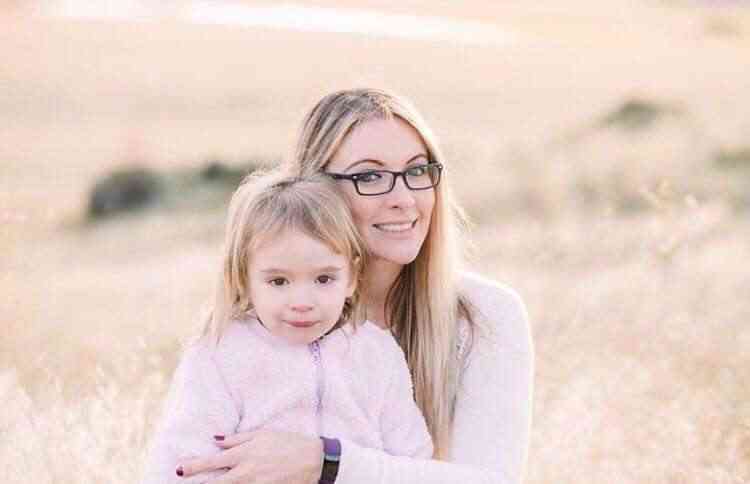 I remember having massive anxiety to tell my three-year-old. Just remember, that kids are sponges and you don’t want them to hear it from someone else, or to see the moving checklist you left sitting on the kitchen counter. Plus, kids are very perceptive. If you’re stressed, they probably sense something is going on. By telling them yourself and as soon as possible, you are giving them time to process their feelings. Encourage them to talk about how they are feeling. If they’re not talkers, have them write in a journal or draw pictures. Sharing your own feelings helps to open the lines of communication, so talk about what’s going through your head too. No matter the child’s age, there are several age-appropriate ways to get kids involved in the moving process. Encourage them to pack their own things, especially for the travel days. Let them help pick out room colors and get them involved in picking future activities in their new town. Even what you would consider to be minor decisions (where they eat on the road) can make a big difference in helping your children feel like involved participants. Use outside resources about moving and the feelings that go along with it. My children love books and even the youngest of kids respond to teaching moments in books. They educate through fun stories and illustrations and provide conversation starters for them to ask questions for you to answer. There are also online resources that can provide a lot of information for all age levels, such as Military Kids Connect. This site is divided into age-appropriate categories and is focused on children over the age of 6 to provide a lot of wonderful kid-friendly information including how to pack, staying in touch with friends, etc. If possible, why not visit your new home? If it’s not too far away, plan to take the whole family on a road-trip to your new town. Explore the area, including the high points like schools, the base you’ll be stationed at, parks, restaurants and other local attractions. If you are moving too far away, plan to explore online. Between satellite options such as Google Maps as well as pictures of the home, it’s pretty easy to visualize where they will be living. My daughter really responds to the outside of a home and the colors of the rooms, so we have showed her photos to get her excited. It’s always important to research the area you’re moving to in order to get yourself acquainted. Put aside their special items. Although it would be ideal to have the household good arrive to your new home and say day you pull into the driveway, that rarely happens. Some people who travel cross county or even around the world wait weeks to months for their possessions to arrive. 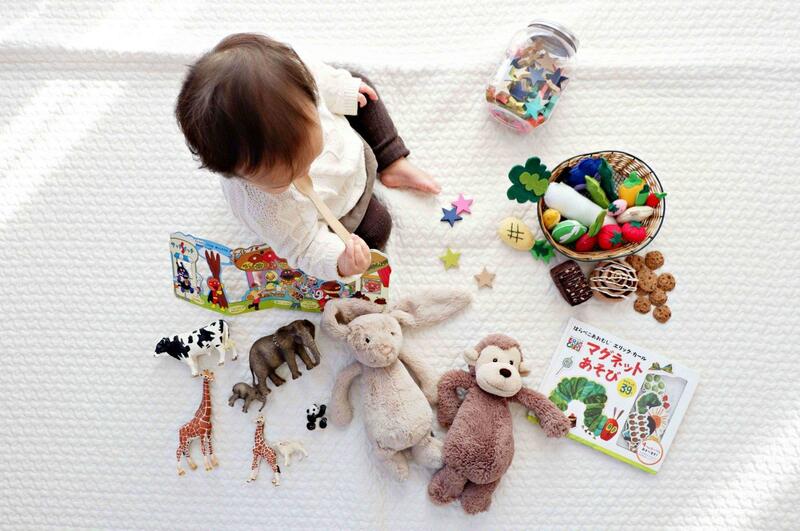 Help your kids put aside those special must-haves they can’t live or travel without. This will look different for each child. For my oldest, it’s her stuffed Pig (that’s right, a stuffed pig!) For my son, he will want his toy cars. These items can provide security and comfort in the transitional period. Give them a chance for closure. Another reason to give kids an ample heads-up is to allow them a chance to gain closure on this part of their lives. Go to their favorite restaurant, play at the park with their friends or simply have more playdates. Take lots of pictures and help them document! We like to have a special type of play date; a tea party or ice cream social to get to say our farewells. I always heard that we should teach kids to say “see ya later” instead of “good-bye.” Help them understand all the ways to stay in touch with their friends no matter where they are and set up times for them to chat in the future via Facetime/Skype if possible. No matter where you move or how many kids you have, using these tips will hopefully ease the burden and make the transition smoother. What are ways you have helps your children transition better during a big move? Comment below to share! This post may contain affiliate links. Please visit our disclaimer page for more information. Hi, I'm Noralee! I'm a military wife of 10 years, mother of three under 4, and lover of southern comfort food, my planner and chocolate. When I'm not reading kid books, changing diapers or grocery shopping, I love to run, read and cook freezer meals to feed my family. I want to help everyone be their best even on their worst day. I will help teach you how to manage home and family while focusing on self-care in this crazy life!